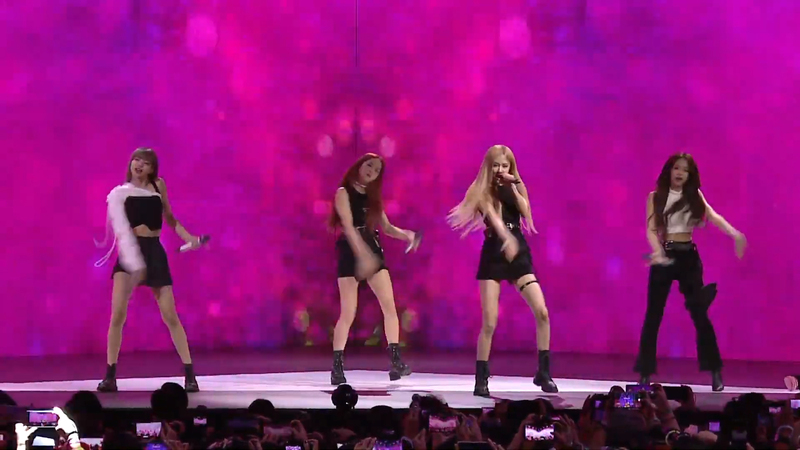 Samsung took to Bangkok to introduced two new devices in the Galaxy A lineup of devices today – besides having K-Pop superstars Blackpink perform at the launch, Samsung also introduced the Galaxy A70 and Galaxy A80 smartphones. 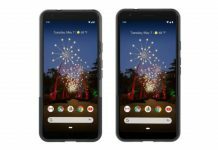 Now, to call it an introduction would be inaccurate as the event was more of a teaser than anything else – much of the phone’s technical specs were withheld. Thankfully, PR representatives have sent over more deets of the phones. 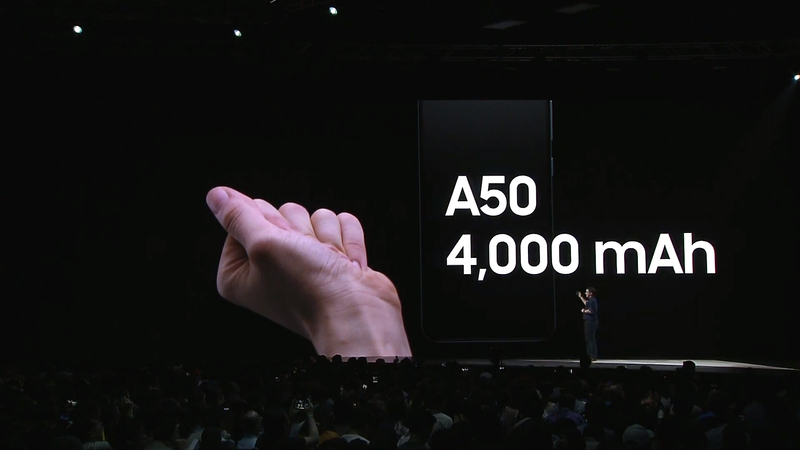 Starting with the obvious highlight of the two devices – the Galaxy A80. The phone sports a 6.7-inch Super AMOLED Infinity Display that features no notches – we’ll get to why in a bit. At the back is a triple-camera setup consisting of a 48MP main lens, an 8MP ultra-wide lens and a 3D depth sensor. 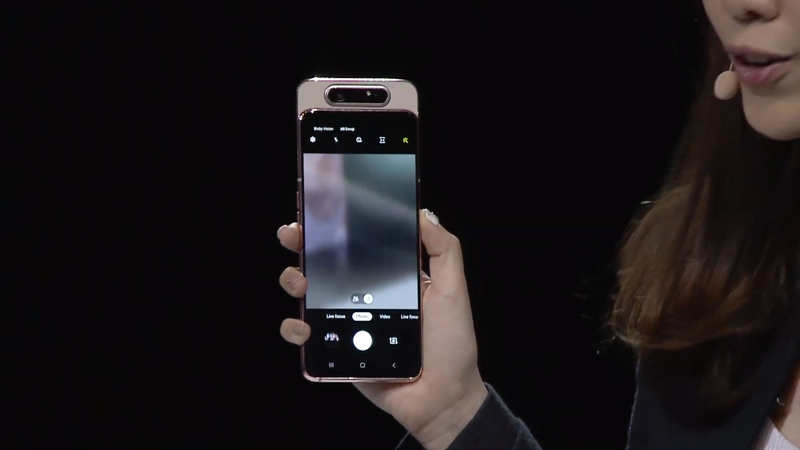 Here’s where it gets interesting – the Galaxy A80 sports a sliding module that raises the top back panel, at which point the back cameras rotate 180-degrees facing the front. Meaning selfies are also taken using the same lens combination. 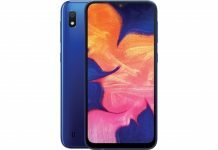 Under the hood, the Galaxy A80 is powered by an unnamed octa-core processor, 8GB RAM, 128GB internal storage and a 3,700mAh battery. The phone supports 25W fast charging and possibly a Type-C charging port. As you can tell, Samsung are still keeping mum on a several aspects of the phone. 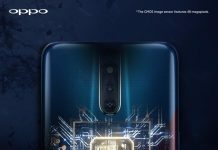 The phone will feature an in-screen fingerprint reader, a vibrating front screen that creates audio. 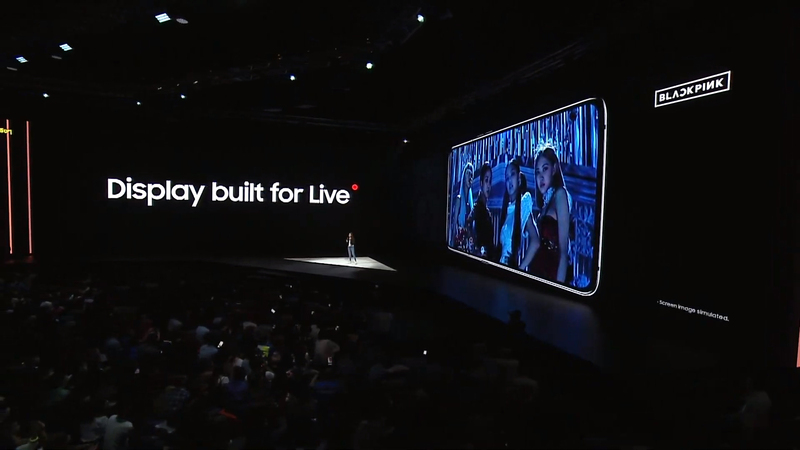 Moving on to the more affordable Galaxy A70, the device also comes with a 6.7-inch display but with a dew-drop notch. 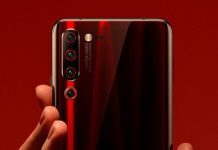 At the back, the phone is fitted with three lenses – a 32MP main, a 8MP ultra-wide sensor and a 3D depth sensor. Although Samsung hasn’t mentioned more about the phone’s chipset, we suspect it will be similar to that of its pricier sibling and should come with the same memory configuration too. It also comes with a much larger 4,500mAh battery and also supports 25W fast charging. 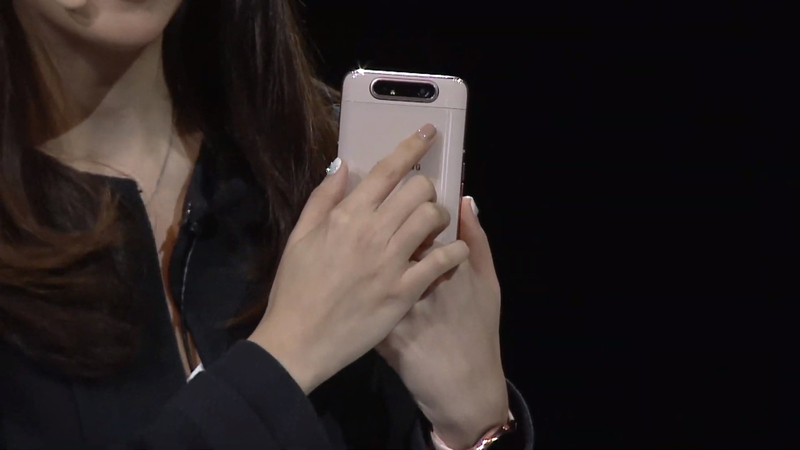 The Galaxy A70 also comes equipped with an in-screen fingerprint sensor. 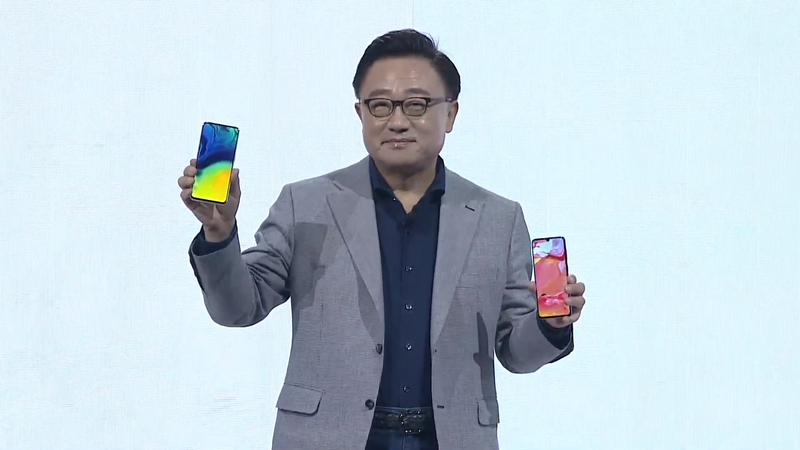 Both phones will ship with Android 9 and Samsung’s One UI. The phones will be available in four colours – black, red, blue and white. 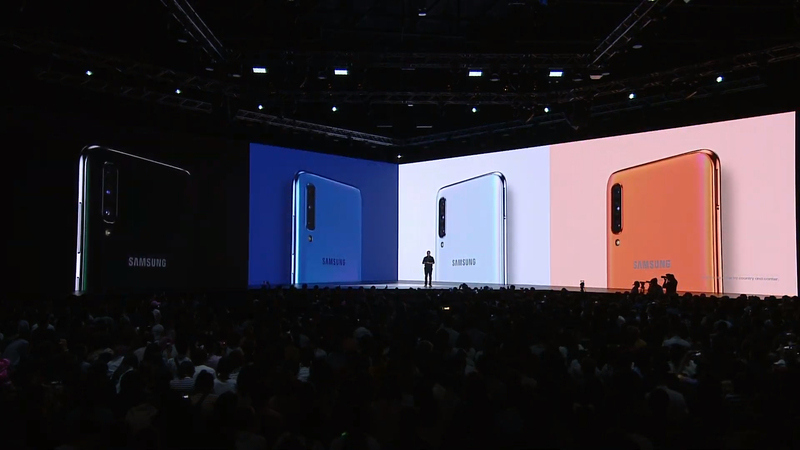 The Samsung Galaxy A70 will be available on April 26 and the Galaxy A80 on May 29. Samsung has again withheld the price, but we expect it to cost no more than RM2,500.